Here are some pictures of our last Sunday's outing at WIP cafe, BSC. Fret not, although BSC looks like it is under major renovation,business runs as usual, people! 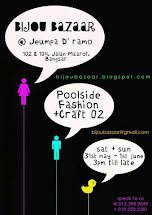 We will be there again, tomorrow with our latest additions, starting from 11am til 6pm. So wake up from a long fun saturday night, have a breakfast/brunch at BSC and take a relaxing stroll at the Bazaar and pay us a visit! 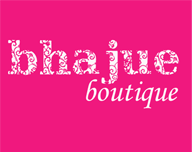 Bhajue Boutique will be at BSC on Sundays for the month of August 2008.Catch u all there!